Three former researchers are now aiming for one lofty goal: to build the “Evernote for researchers”. Simon Bungers is a molecular biologist, Florian Hauer a biophysicist and Mathias Schäffner is a software architect – together, they developed Labfolder, a digital tool for documenting and planning experiments. 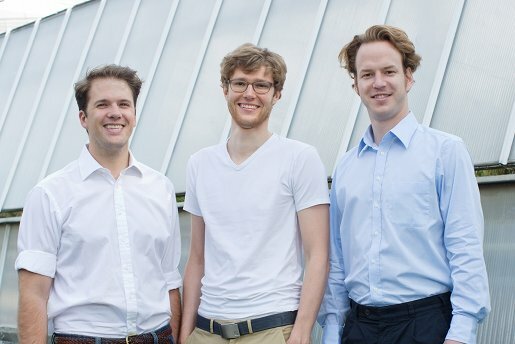 In summer 2012 the startup, which was founded in the Free University of Berlin, received its first capital from the EXIST founder scholarship. Now the startup has secured a high six-figure amount in follow-up funding from Vogel Ventures, IBB Beteiligungsgesellschaft from Investionsbank Berlin and from business angel Jan Bohl, who is also an investor in SoundCloud and Simfy. As for the business model, Labfolder hopes to remain free for individual researchers and smaller research groups, though when it goes to market the startup wants to start charging for extra group members and memory space.